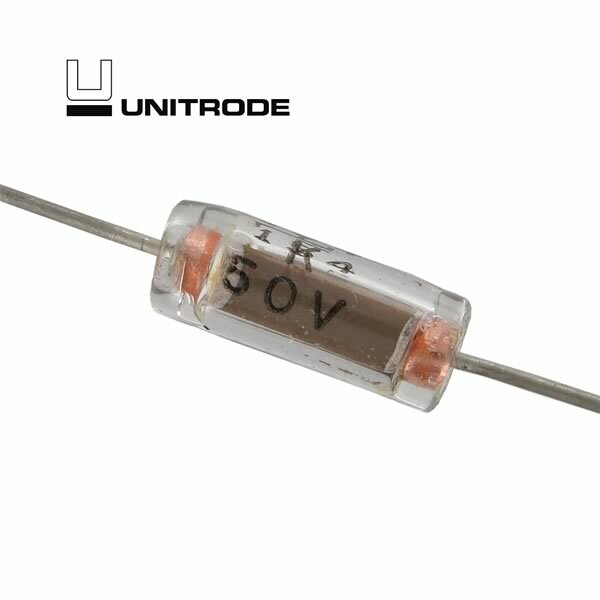 Glass case small axial lead capacitor by Unitrode is marked 154K (0.15uF) 50V. Size of body (excluding leads) 0.386" x 0.15" diameter. Has full length axial leads. Sold in a package of 20.